A few years ago I was asked to bake an apple pie for my family’s Thanksgiving dinner. Having never baked a pie before, I was nervous, especially because it was for such a big holiday! I did some research and found a recipe that I liked and seemed easy enough. I followed the recipe, added my own touches and it turned out to be delicious! I now make a pie for Thanksgiving and Christmas dinner, and just recently I made one for Easter. I am still perfecting my technique and have yet to make my own dough for the crust, but it’s become a family holiday staple that I love to bake. Melt the butter in a sauce pan. Stir in flour to form a paste. Add water, white sugar, brown sugar and cinnamon, and bring to a boil. Reduce temperature and let simmer. Cover with a lattice work crust. Gently pour the sugar and butter liquid over the crust. Pour slowly so that it does not run off. OR Gently pour the sugar and butter liquid over the apples. Cover with top crust. Use milk or butter to connect seal to the bottom crust. Flute/crimp the edges. Brush the top with milk and dust with cinnamon sugar. Cut slits in the top to vent. Reduce the temperature to 350 degrees and continue baking for 35-45 minutes, until apples are soft. Place baking sheet under the pie while it is baking to catch any liquid that may bubble over. Learn how to lattice crust. Cover the edges of the crust with two to three inch strips of aluminum foil to prevent excess browning. 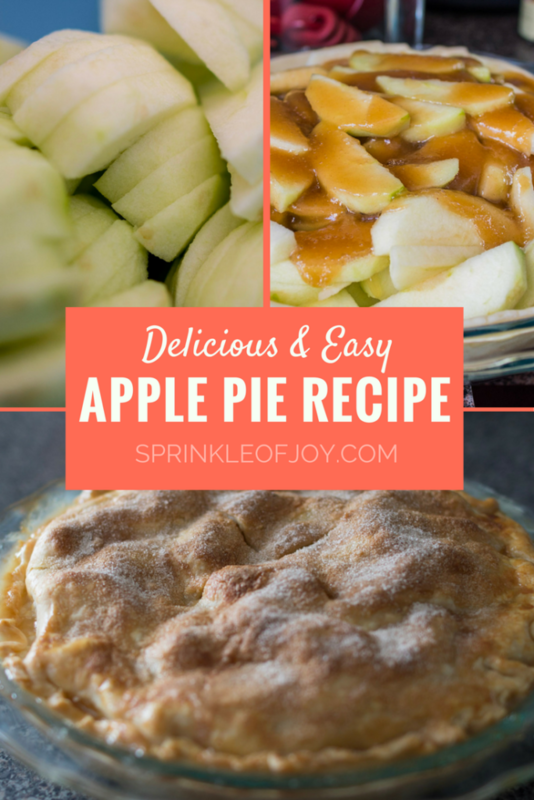 What’s your favorite apple pie recipe? 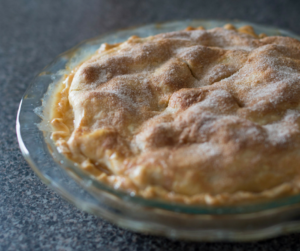 Do you have any pie baking tips?